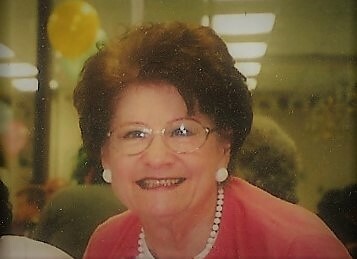 Cecilia T. “Honey” Hrubovcak of Concord Township, PA passed away on Thursday, April 11, 2019. Born in Chester, PA, Honey attended Ressurection of Our Lord School and Notre Dame High School. She is predeceased by her parents Cecilia M. (nee Turansky) and John S. Hrubovcak, brother, John Hrubovcak, sister, Mildred R. Kurman, and niece, Christine Hrubovcak. Cecilia was a vibrant and well-loved woman who will be greatly missed. Her infectious smile and quick-wit made her the life of any gathering. Among her many hobbies her favorite was gardening, both in and outdoors with many friends and family have benefitting from her green thumb. She was a lifelong learner and took great pleasure in attending community education classes. Cecilia had many jobs throughout her life, but most enjoyed her employment at Widener University. She was an accomplished musician and music teacher. She was a dedicated member of the Accordion Pops Orchestra for 30 years never missing a rehearsal or concert. She was also a member of the Professional Accordion Teachers Association. Cecilia is survived by her nieces and nephews, Joanne Blonarowycz (Robert), Edward Hrubovcak (Dawn), John-Michael Hrubovcak (Renee), Joseph W. Kurman, Jr. (Marilyn) and Mildred Kurman-Malriat (Joseph). She has 9 grand nieces and nephews and 4 great-great nieces and many cousins and extended family members. Relatives and friends are invited to her visitation to be held at Chandler Funeral Home, 2506 Concord Pike, Wilmington, DE 19803 on Monday, April 15th from 7 to 9 PM and again on Tuesday, April 16th from 10-11 am from Church of the Holy Child Roman Catholic Church, 2500 Naamans Road, Wilmington, DE 19810. Mass of Christian Burial will be held on Tuesday April 16th at 11 am from Holy Child Roman Catholic Church. Interment will be private. In lieu of flowers, please send donations to St. Joseph’s Indian School (https://www.stjo.org/) or a charity of your choice. Relatives and friends are invited to her visitation to be held at Chandler Funeral Home, 2506 Concord Pike, Wilmington, DE 19803 on Monday, April 15th from 7 to 9 PM and again on Tuesday, April 16th from 10-11 am from Church of the Holy Child Roman Catholic Church, 2500 Naamans Road, Wilmington, DE 19810. Mass of Christian Burial will be held on Tuesday April 16th at 11 am from Holy Child Roman Catholic Church. Internment private. In lieu of flowers, please send donations to St. Joseph’s Indian School (https://www.stjo.org/) or a charity of your choice. My deepest sympathies to the Hrubovcak family on the passing of Cecilia. I will always remember her by her energy, smile, and love of life. She was ageless and will be missed. When you "Light a Candle" the candle image is posted with your condolence. We are always available to answer your questions.